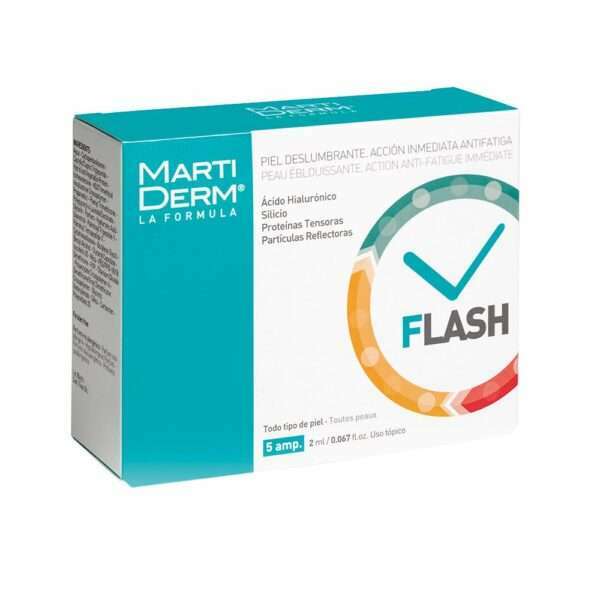 Immediate lift: A combination of firming peptides. Visibly reduced wrinkles: “Soft-focus” particles. Increased flexibility and elasticity: Complex hyaluronic acid and silicon. 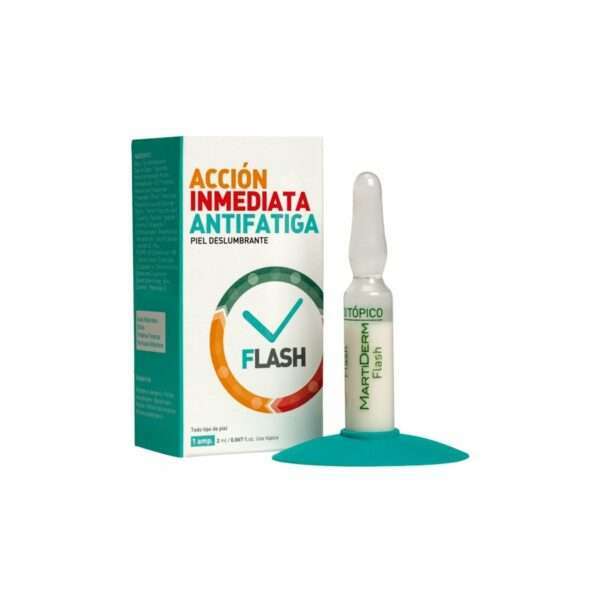 MartiDerm® Flash ampoule is the secret to erasing all the signs of fatigue and stress and looking your best on special occasions. Achieve luminous, flexible and flawless skin in just one application, ready for longer-lasting makeup. Stunning skin with illuminating particles.